Crochet is a no brainer when it comes to summer. 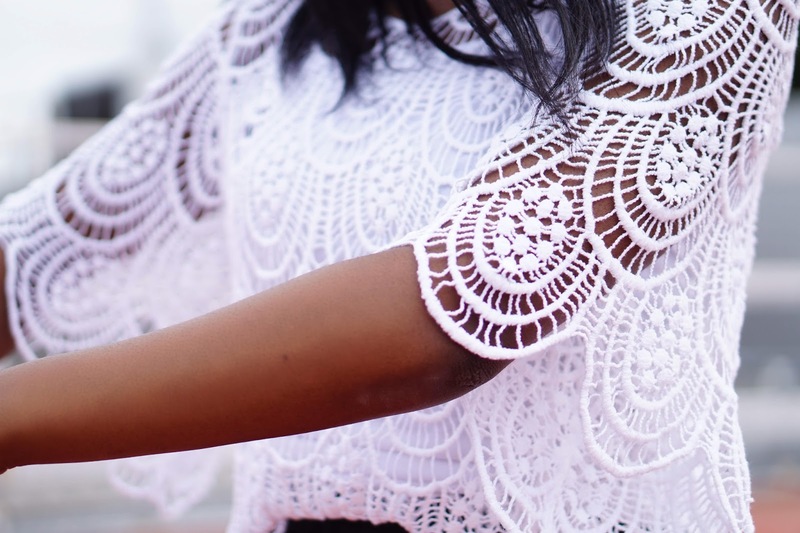 I’m sure you all have that jumper or scarf that our nan knitted for you when we were young, but this hot summer trend doesn’t come from your nan's crochet needle! I guess crochet can be considered to be pretty granny-ish all on it's own but I found it to be a really unique pairing for my skirt. Alternatively, it maybe pondered as a must-have clothing item for festival wear. Crochet echoes a dreamy accessory if you're going someplace like Coachella or Wireless Festival, it's just oozes boohoo chic. 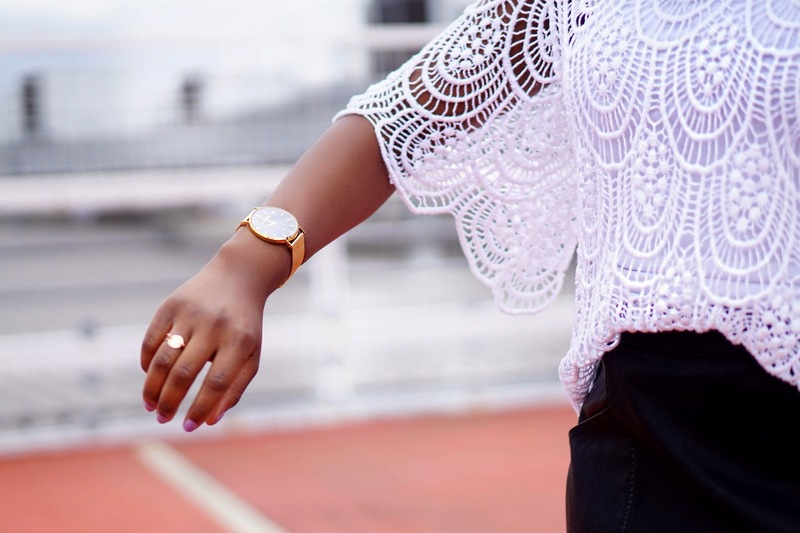 The only thing that I would advise when wearing crochet is to wear neutral colours. This would be my personal preference anyway, as wearing blue, yellow or even green crochet items can easily make the crochet look like an it's made of a more inferior quality than neutrals would.When I shop I try to consider two things: it has to look unique and it has to match with everything else that I wear (enter the white crochet - tick ). 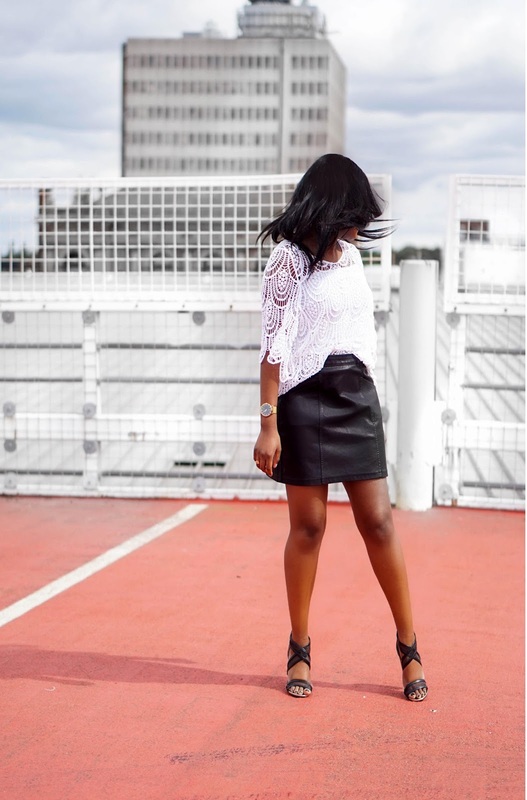 I styled it with my a-line leather skirt and ankle strap heels. Both black, as they were strategic additions to my outfit to successfully complete the monochrome look that I was going for.